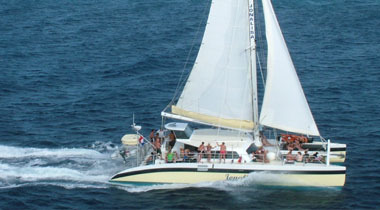 Passport to Paradise "Klein Curacao"
This heavy duty high speed catamaran (up to 25 knots under sail or power) brings our guests there fast and comfortable. This beautiful Island offer's you an Adventure not to be missed! 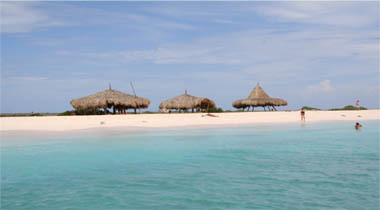 You can go snorkeling, swimming and, explore the Island and it's white beach. 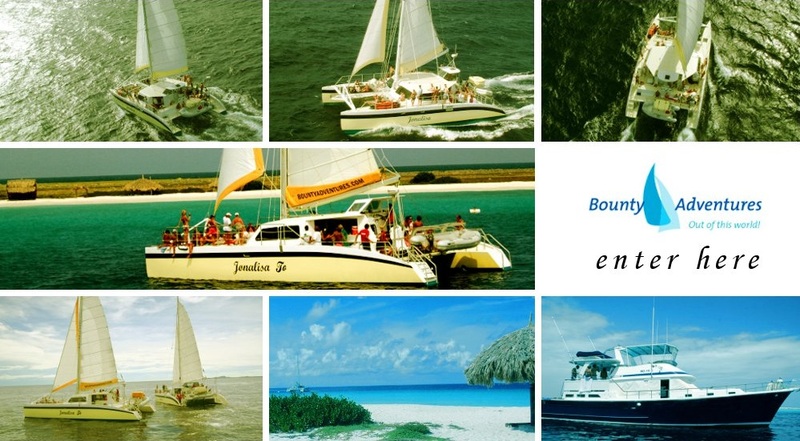 Bounty Adventures offers the best day cruises available on the Island. Jump aboard for some real water fun! Never before was a trip to Klein-Curacao so much FUN and so comfortable!! 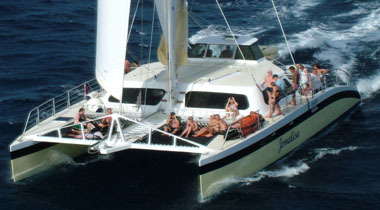 ENJOY REAL OFFSHORE SAILING, SNORKELING, SWIMMING & OUR BBQ-SALAD BUFFET. When we departure we serve sandwich for breakfast. It's about an hour to get there. You can go treasure hunting on the Island, have a tan, relax in the shade's on the beach. 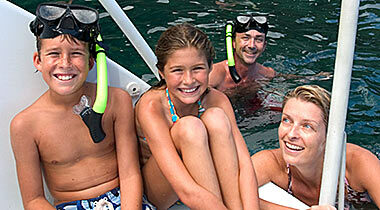 Also you can go for some fine snorkeling and explore the coral reefs. This trip is also perfect for scuba divers. Trip to Paradise "Klein Curacao"
Lunch: Delicious Home-made BBQ and salad, featuring Steak's from the grill, chicken filed, diverse salads, bread and the captains famous peanut-saus. Dessert: Display of tropical fruits. Snorkeling: Use of snorkeling gear and instructions. Jump aboard for some real water fun!